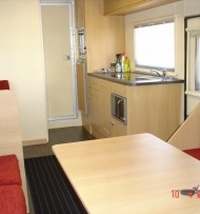 Based in Corby, Northamptonshire, Mark Routledge Carpentry has been specialising in the design and build of leisure vehicle interiors since 2003. Our team includes time-served craftsmen and City & Guilds qualified carpenters and cabinet-makers. Several members of the team have over 20 years experience working for one of the largest luxury yacht manufacturers in the UK. This pool of talent enables us to confidently take on any type of vehicle interior project, large or small.